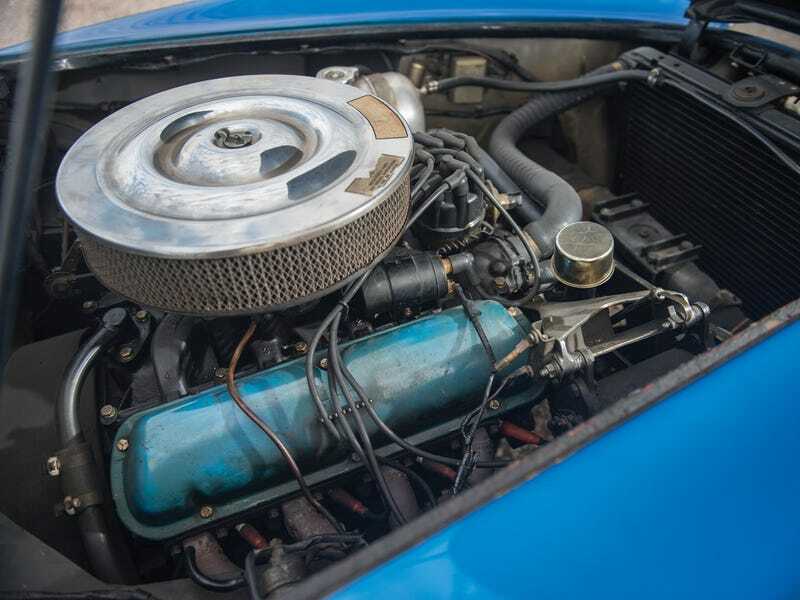 The Monterey Car Week auctions are where the beautiful members of the landed gentry go to blow obscene amounts of money on cars, and at yesterday’s RM Sotheby’s auction, one of them took Cobramania to new heights. 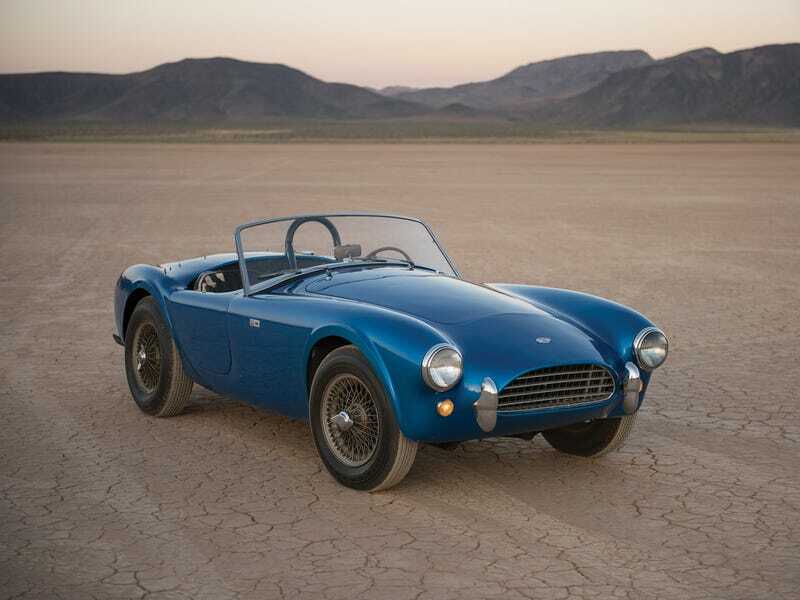 This 1962 Shelby 260 Cobra known as the CSX 2000 just commanded $13.75 million at auction. Here’s why. The sale price is a new record for an American car at auction—as CNN Money notes, it was previously held by a 1968 Ford GT40 that sold in 2012 for a paltry $11 million. It may as well have been a used Hyundai compared to this beast! RM Sotheby’s has a ton of detailed information on this legendary car, but it is notable for being the very first Shelby Cobra. It arrived in the U.S. without a motor in February 1962, and Carroll Shelby and his partner Dean Moon then threw in a 260 cubic inch V8 and a Ford four-speed gearbox. Classic. After building the CSX 2000 on “a shoestring,” Shelby was able to get capital from Ford itself to build the first group of Cobras. When it was new the car was rated by Road & Track to hit the 60 mph mark from a stop in just 4.2 seconds, which is fast even by modern standards and rather mind-blowing (and also terrifying when you consider its near-total lack of safety equipment) at the time. Over the decades to come the CSX 2000 stayed in the Shelby family and was used at the driving school for a time, followed by a long series of promotional and historic events. Ultimately, no degree of hyperbole could ever truly summarize CSX 2000’s monumental importance to the automotive industry. Had it never been built, had it accidentally been crashed by an employee or even a journalist, the impact on Shelby American would have been clear: 289 Cobras would not have gone on to dominance in the USRRC and SCCA Championships, nor on the international stage that was the FIA World Sportscar Championship, and specifically the 1965 24 Hours of Le Mans. Certainly there would never have been any 427 Cobras, or any of the tremendously successful GT350 and GT500 Mustangs that followed, including, of course, the cars that won the SCCA B-Production Championship. Worthy of commanding a $13.75 million price tag? Someone clearly thought so. This article caught my eye and I wanted to read more, the link you have is not working. Thanks. Those oldies but goodies were beautiful machines. I had a neighbor in NE who hand machined parts to restore old cars as ahobby. He wanted to get into the work full time; I moved and never knew if he did. Although I did not know it when I bought it, BMW 700 coupes were used for stock car racing in Europe. This 13-Year-Old Owns His Own House—All 89 Square Feet Of It And he built it from scratch.